A stunning report by The Guardian’s Glenn Greenwald reveals that the NSA has been tracking every call by Verizon business customers. How far does the spying go? “Just because you’re paranoid doesn’t mean they aren’t after you.” Never has Joseph Heller’s observation from Catch-22 been more apt than today, as news spreads that the National Security Agency has been using the Patriot Act to sweep up phone call data on every Verizon Business Network customer in the nation—and presumably on residential and cell phone customers as well. 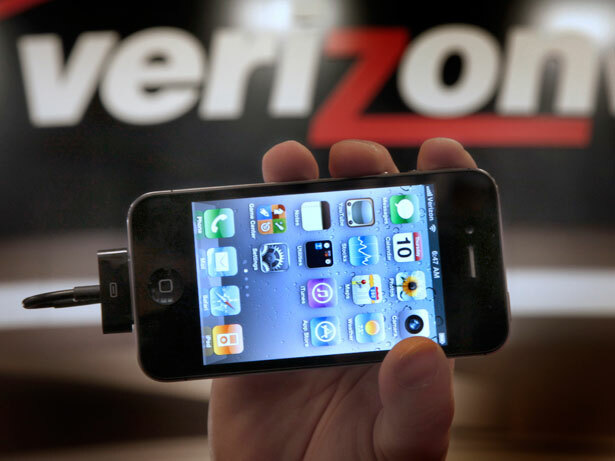 Last night, The Guardian published a secret court order, issued under Section 215 of the Patriot Act, that requires Verizon Business Network Services to provide “on an ongoing daily basis” phone records for all “communications (i) between the United States and abroad; or (ii) wholly within the United States, including local telephone calls.” The data to be provided includes the numbers called, the length and time of calls and other routing information, but does not include the actual content of the calls. But the government can learn an awful lot about an individual simply by tracing whom he or she is calling, how often and for how long. This is a stunningly broad order, and there’s every reason to believe that similar orders exist for other phone providers in the United States. Verizon itself is not the focus of the investigation, so Sprint, AT&T and others almost certainly are under similar orders. An expert interviewed by The Washington Post said the order appeared to be a routine ninety-day renewal of what has effectively been a standing order for all such data. In other words, the federal government is apparently sweeping up records on every phone call any of us makes, without any specific basis for suspicion about any of us. How can it do so? The Supreme Court long ago ruled that such information enjoys no Fourth Amendment protection, on the theory that when one shares information with a third party, one has no “reasonable expectation of privacy” with respect to the government obtaining information from the third party. Supreme Court Justice Sonia Sotomayor has suggested that this doctrine needs to be reconsidered, but until that happens there are no constitutional impediments to such wholesale vacuuming up of data without any individualized basis for suspicion. Congress has placed some limits on the gathering of such data, but as this order reveals, they are largely meaningless. A controversial provision of the Patriot Act, Section 215, allows the government to demand “business records” from any business, so long as they are “relevant to an authorized investigation…to obtain foreign intelligence information…or to protect against international terrorism.” Section 215 orders are granted in secret, as this one was, and until now little was known about how extensively the government relied upon them, or how “relevant” was interpreted. By this single order, however, the NSA has been given access to records on literally millions of customers, without suspicion about any of them. We don’t know the government’s theory, but it appears that it may be arguing that in order to protect against international terrorism, it is “relevant” to sweep up phone call data about all of us all of the time. Last year, Senators Ron Wyden and Mark Udall warned, in a letter to Attorney General Eric Holder, “We believe most Americans would be stunned to learn the details of…these secret court opinions. As we see it, there is now a significant gap between what most Americans think the law allows and what the government secretly claims the law allows.” Count me as one of those stunned. The leak of this secret court opinion certainly narrows the gap in our knowledge that secrecy permitted. But it does so by confirming that those most paranoid about government spying were right after all.